I'm on deadline (eek) and just realized I didn't have a post for today. And no ideas, either (double eek). So I'm pulling a post from the archives (May 2007), but I think it's one of those timeless kind of blogs. AND, it's especially fitting because Lisa Lutz has a new Spellman book out this month (the fifth in the series--my, how time flies! ), and I caaaaan't wait. Must finish my book so I can read hers! You know the feeling. You wake up groggy, fuzzy-headed, bleary-eyed, and want nothing more than to pull the covers over your head and sleep for two days straight. Because you stayed up too late the night before. No, not drinking or partying. You stayed up late reading. This happened to me last weekend. I’d been gone Friday and Saturday at a book event, and got in at a fairly reasonable time Saturday night. Exhausted, I had big plans to cozy up in bed and go to sleep by eight at the latest. Me being able to actually go to bed this early is somewhat a miracle in itself, what with kids and their social calendars. However, my stars must have been aligned just right that night, and bedtime was free and clear. Then I told myself I’d just read for a few minutes before I turned out the light and tuned out my husband’s PBS shows. Next thing I knew it was almost midnight—the kids had gone to bed before me, the hamsters were up and running, and I hadn’t slept a wink. What happened? The Spellman Files by Lisa Lutz happened. The book was a freebie from Malice and sounded intriguing. After initial hesitation over the “voice” of the book, I became entranced by the writing and with the story. It’s really one of the best books I’ve read in a long, long time. Unique—and that’s hard to say in this business. And no, I don’t know the author and am not being compensated for spreading the word. I just loved the book, is all. And I have to say, it was worth the book hangover the next morning. Tell me, am I the only one who has book hangovers? 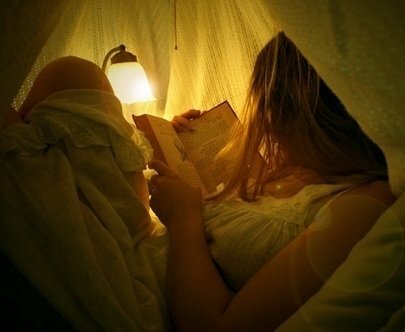 What’s the last book that kept you up most of the night, unable to put it down? Anything by Harlan Coben. Don't start one of his thrillers if you have anything else to do! I love this series and I'm so happy she's continuing the series. Twice this week - first with One Book In The Grave and last night with Old Haunts. Thanks, Kate Carlisle and E.J. Copperman. You're both well worth a sleepless night. But tonight I'm going to fall asleep reading my new microwave's instruction booklet or something! And tomorrow I'm going to buy The Spellman Files. I am also a fan of the Spellmans...I was really sad to see the series end. So excited about a new Spellmans book!!! Lol that happens a lot to me. I wanted to stay up monday while reading Gini Koch - Alien Proliferation, and was strong and did not do it. Which meant dreaming about the book the whole night long. Finished it on Tuesday, and again kept dreaming about it. And wednesday, I picked up the latest JD Robb - Celebrity in Death, and kept on reading till 1.15 in the middle of the night. Thursday at the office, I was not all that bright I believe. I'll have to check out the Spellman books. Am reading my way through the Stephanie Plum series by Janet Evanovich. So tired and only on number 12 of 18 books to go! I have had a reading hangover for about 3 weeks now. The dark circles and the lack of interest in anything else other then reading. I read one a night. Looking forward to your new book!